The blueberries are abundant this time of the year and picking is plentiful at the local orchard. 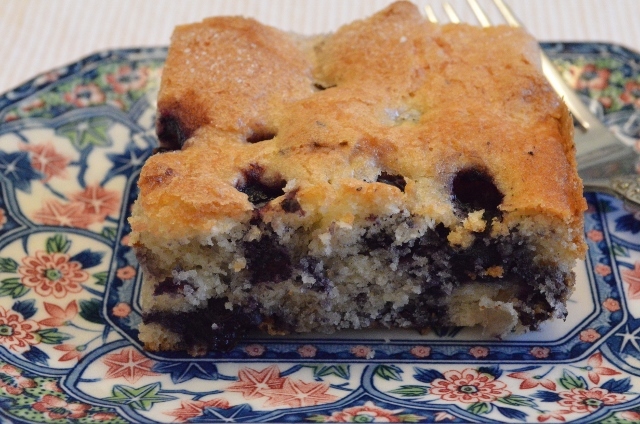 Here is a simple blueberry cake that is good for breakfast or as a snack. In the bowl of an electric mixer cream the butter and ¾ cup plus one tablespoon of the sugar together until light and fluffy. Add the egg and vanilla and beat until combined.